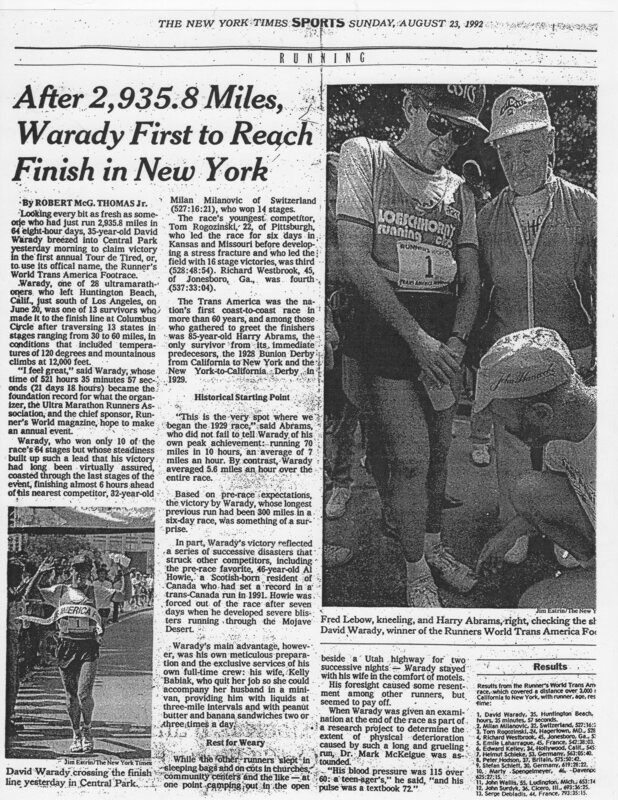 Running Through Cancer is the FIRST book of its kind, about a championship runner winning a historic, 64 day, 3000 mile, footrace, contracting cancer, then, while in remission, using his competitive athletic approach to beat all but 94 of the top professional poker players in the world, finishing 95th of 6598 in the 2012 Main Event of the World Series of Poker (WSOP). 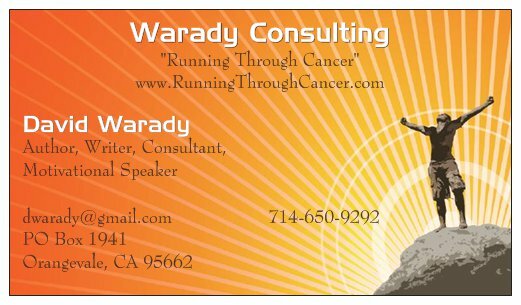 Running Through Cancer is about the life of David Warady, top athlete, cancer survivor, Notre Dame recruit at 11, award winning salesman at 12, blackjack card counter, poker player, famous M&M diet creator, poet, coach, technology instructor, stamp collector, college tutor, computer consultant, stock day trader, rhetorician, and world traveling, "life junkie." 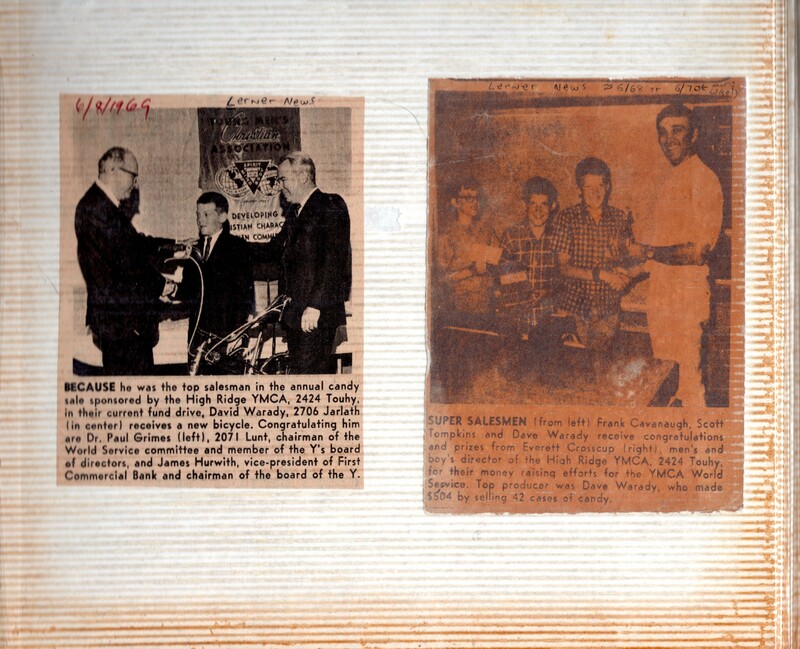 The first section of the work spins tales of David's formative years, growing up in Chicago at the local YMCA, his passion for basketball, and college years at Northern Illinois University, UC - Berkeley, McGeorge School of Law, and Cal State - Sacramento. 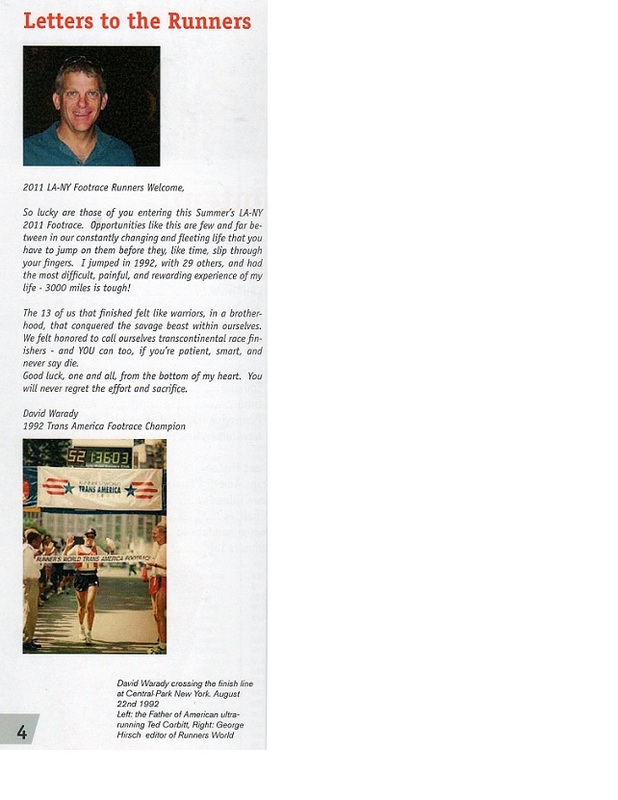 In the second section, David reviews an 18 year running career, under the guidance of mentor/coaches Marty Fink, George Parrott, and John Loeschhorn, all who added their helping hands, eventually leading to David winning a historical running race against 28 competitors from 8 countries. 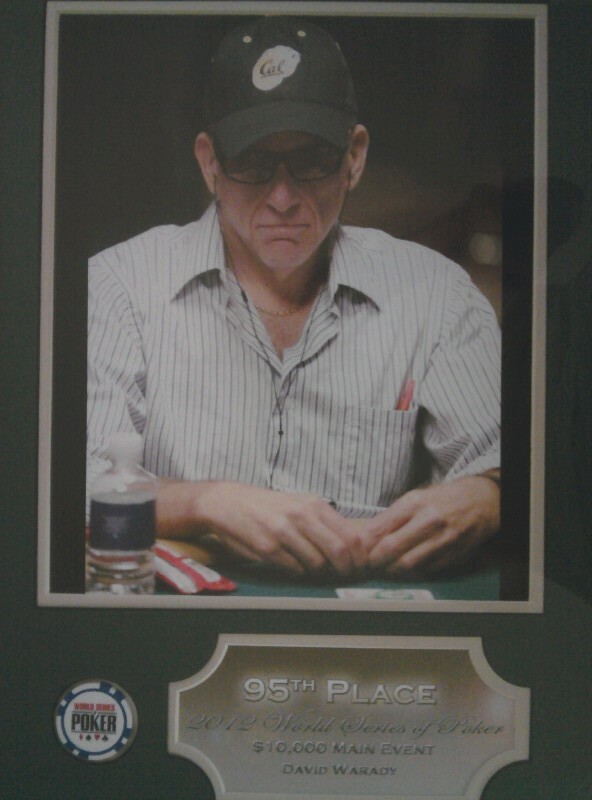 Then, David will talk about career ending injuries, his brief long distance cycling career, double hip surgery, contracting cancer, and then, while in remission, backing into becoming a professional poker player. 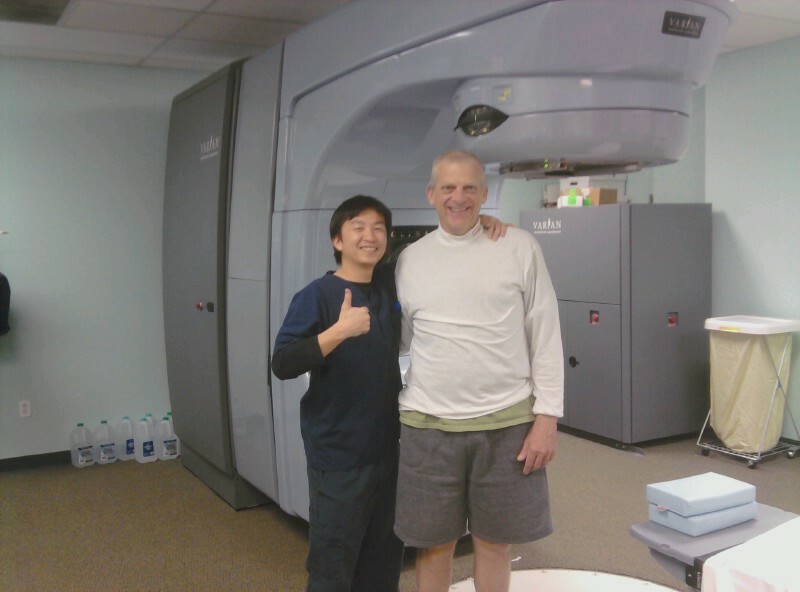 David Warady is best known as a semi-professional runner, coach/tutor, and is in currently in cancer remission. 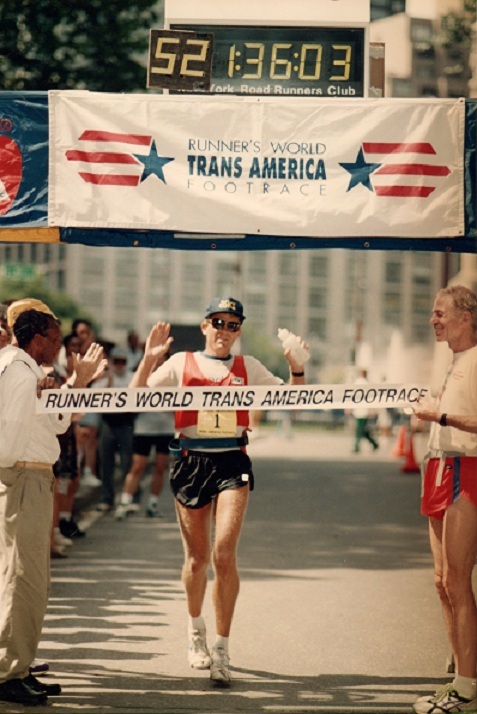 In 1992, he won the historical 3000 mile, Runner's World Trans America Footrace, the first running race of its kind in the USA in 64 years. 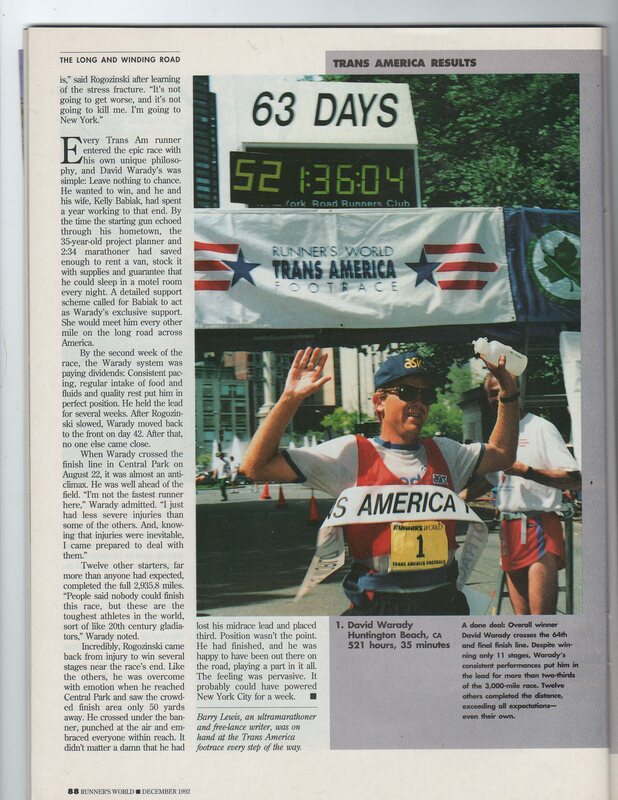 ABC News covered this: Running Across America - 1992 TransAmerica Footrace. 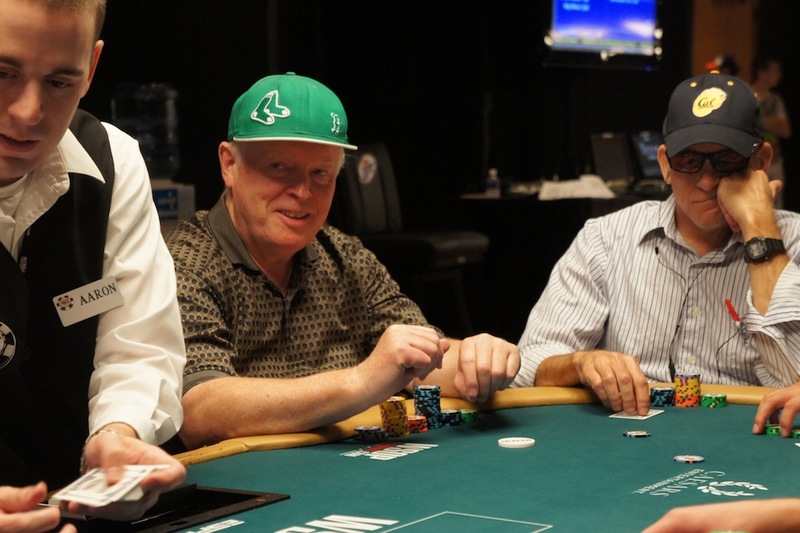 In 2012, David survived a 6 month bout with Lymphoma cancer and, while in remission, finished in the top 1% in the "unofficial" World Poker Championship, joining the ranks of professional poker players, which garnered some international attention. 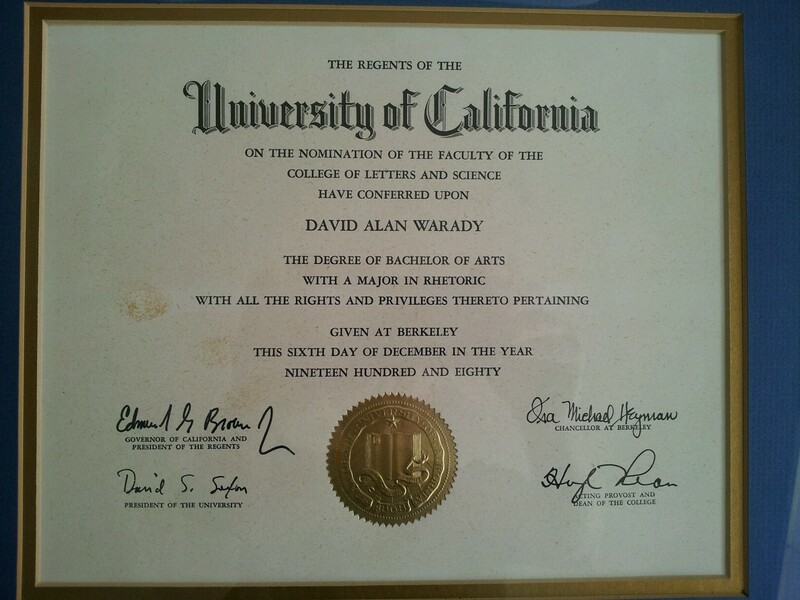 In between are epics of a most fortuitous and humorous life surrounded by the love of countless family and friends. 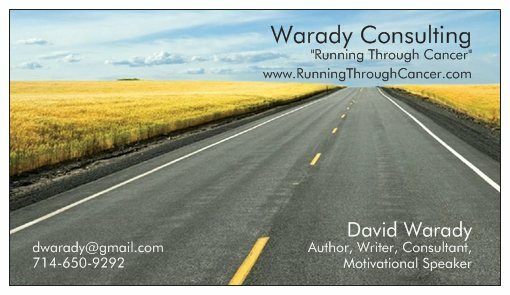 David has written articles for Ultrarunning Magazine and Ultrarunning Canada, including a book review, and countless motivational speaking engagements with athletic groups, college psychology classes, and a corporate sales conference. 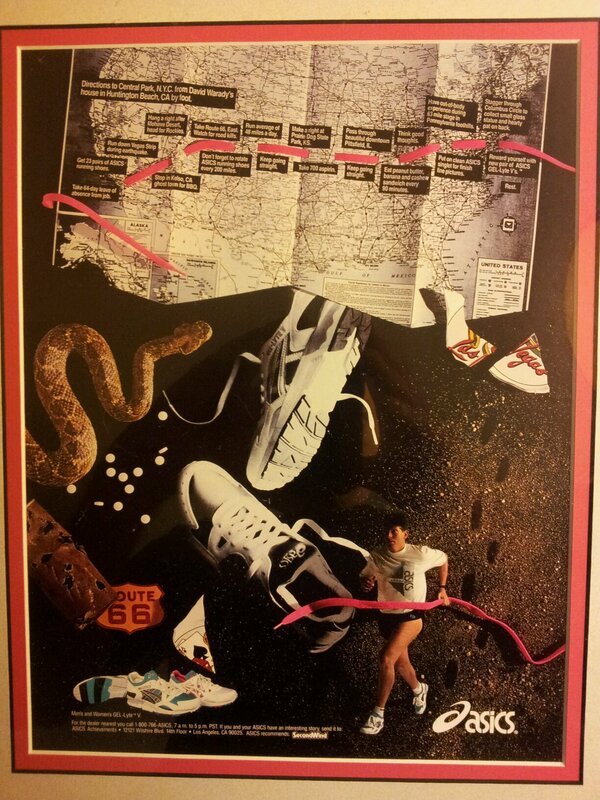 David has helped Asics design a marketing proof and poster of his historic race win that was featured in over 20 magazines. 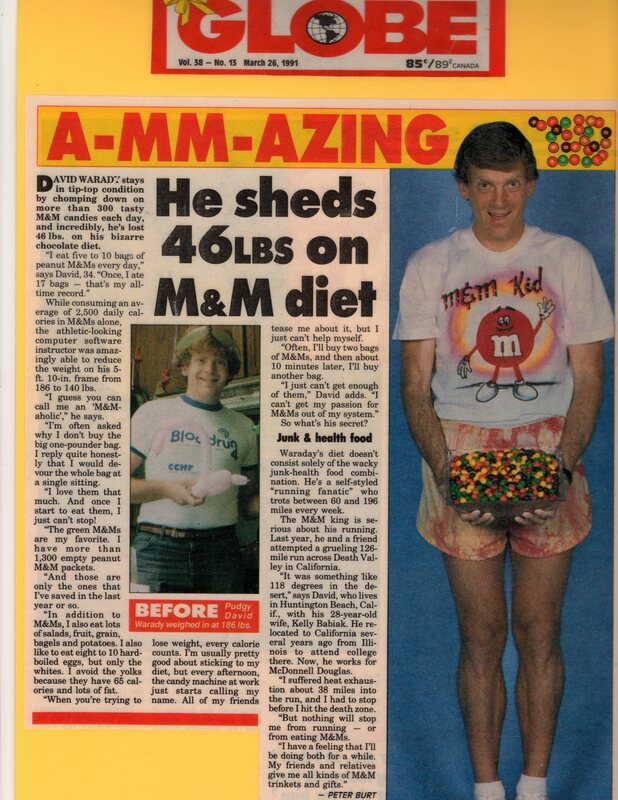 On the humorous side, David was featured in the tabloid, The Globe, for his famous M&M Diet, and later in a George Ciccerone, Fox News segment and subsequent pilot for the By George, Fox Television Show: M&M's Power UltraMarathon Man. 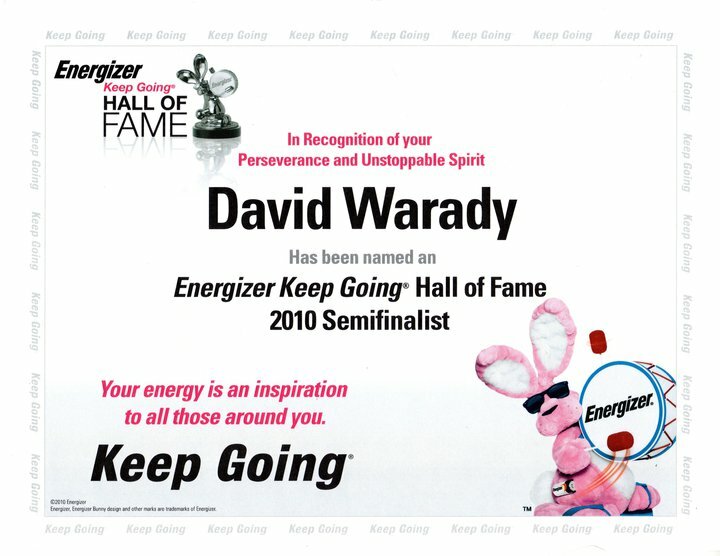 More recently, David was a semi-finalist in the 2010 Energizer (Battery) Keep Going Hall of Fame contest, consulted with the 2011 LA-NY, 3000 mile, transcontinental footrace (including writing the "Runners Welcome" for the Race Handbook, giving a pre-race, runners speech, and acting as the official race starter), was the "Fight Back" Speaker for the 2014 American Cancer Society, Relay For Life - Costa Mesa, CA, and was an official "Advisor" for the Race Across USA 2015.